Craving a tasty yet satisfying meal? 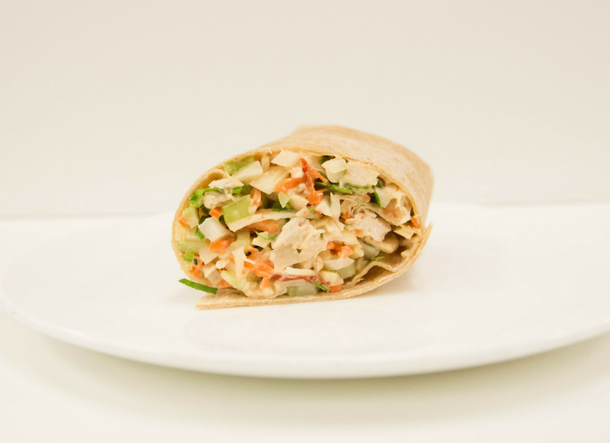 Try the buffalo chicken wrap for your next lunch or dinner that will satiate your cravings for a fresh and wholesome meal with a kick to it! In a blender, puree chipotle peppers with white wine vinegar and mayonnaise. Place all ingredients except spinach in a bowl and mix thoroughly. Place 2 oz. serve. Yields 4 – 1⁄2 wrap portions.